Description: CKSB is a Canadian radio station, broadcasting at 1050 AM and 90.5 FM in Winnipeg, Manitoba. 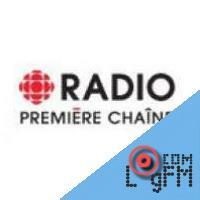 It is an affiliate of Radio-Canada's Première Chaîne network.CKSB-AM signed-on at 6 p.m. on May 27, 1946 as a French-language commercial station, broadcasting from 607 College St. in St. Boniface, Manitoba. The building site was originally part of the St. Boniface College that burnt down in 1922. It originally broadcast on a frequency of 1250 kHz with an ERP of 1,000 watts. The antenna was originally located three miles from the studio, at Dawson Rd.Two rebroadcast AM rebroadcast transmitters were added in the late 1960s — CBXF (Ste. Rose du Lac) on February 1, 1968 and CBKB (St. Lazare) on March 12, 1969. Both stations operated on the 860 kHz frequency. Ste. Rose du Lac has now moved to 92.9 MHz.The station was independently owned and operated until 1973, when the CBC/Radio-Canada network purchased the station to expand its French network service.On March 16, 2006, the Canadian Radio-television and Telecommunications Commission (CRTC) approved an application by the station to implement a new FM transmitter in Winnipeg itself to simulcast the AM programming heard on 1050 kHz. The new FM signal is heard at 90.5 MHz with the callsign CKSB-10-FM. Advertising: . At LogFm.com you can listen to any of the 45,000 radio stations online. We have made it easy for you to find your favorite radio, listen to the music you like, find the best new songs, listen to the latest news, etc. Simply type the station name in the search box and enjoy your choice. Listen to the radio online at LogFm.com. Our E-mail: info@logfm.com. Live Première Chaîne Manitoba. Rock and pop music, to listen to the latest news online.All rights reserved. 2009-2019 © LogFm.com.